This is a sponsored post but the opinions and photographs are 100% ours. 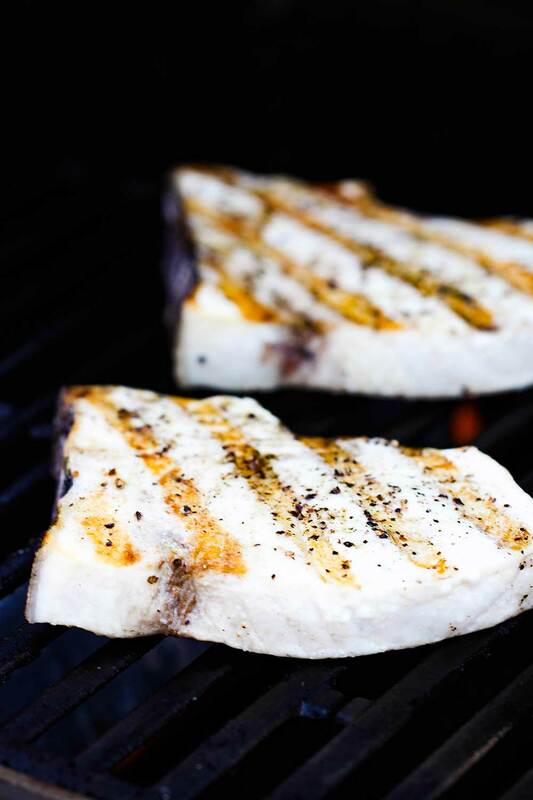 Grilled Swordfish Steaks are, without a doubt, one of our all-time favorite seafood dishes in the world. Since both the Loon and I come from the Midwest in the U.S., we naturally have a love of a good cut of meat. To us, when swordfish is prepared correctly, the experience is very similar to digging into a big and juicy steak. And when you start with swordfish steaks that are pristinely packaged and shipped directly to your doorstep from Citarella, one of the very best (if not THE best) seafood markets in the world, well, let us tell you, you’re in store for something incredible. Because swordfish is caught in all parts of the world, including South Africa and Australia, it’s is available all year. During the U.S. summer months into early fall, it is caught locally in Atlantic waters. You can count on Citarella to deliver the absolute freshest swordfish. Perfectly grilled swordfish steaks require very few ingredients. It’s really all about the steaks. Mmmm. Mmmm. Mmmmm. 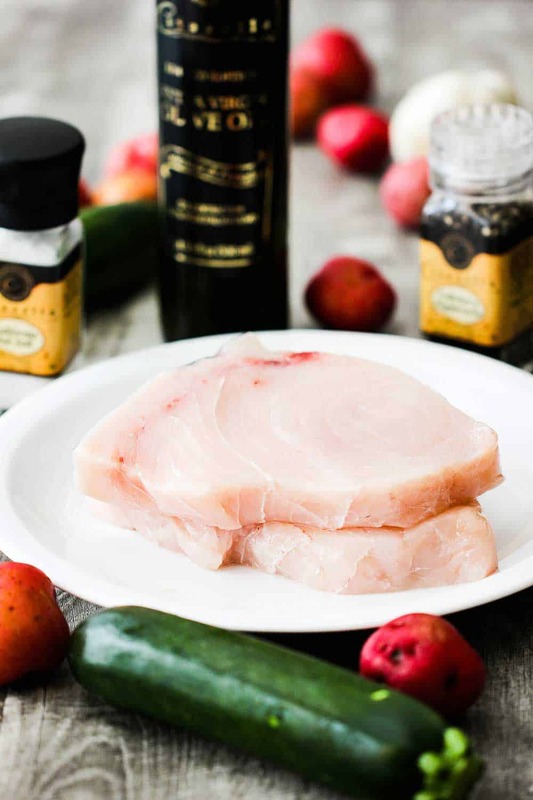 SWORDFISH STEAKS! 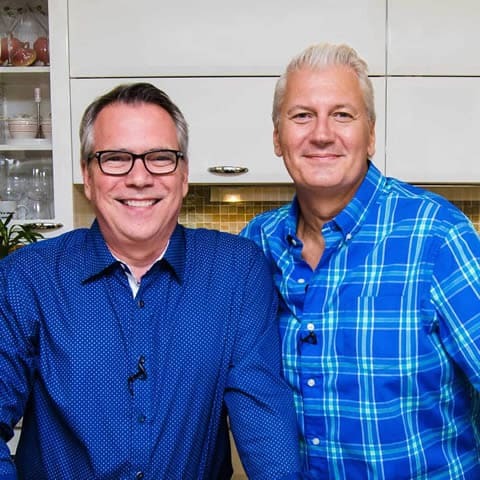 Joe Gurrera, owner and founder of Citarella, and author of the critically acclaimed Joe Knows Fish cookbook, explains that many people overcook swordfish, and it quickly becomes dry. We have certainly experienced this before. Sometimes, most likely, not even realizing how much better the steaks could have been if they had just been prepared correctly. Grilling is the perfect way of cooking them because it allows you stay in control. After coating the steaks with extra-virgin olive oil and then a liberal sprinkling of sea salt and freshly ground black pepper, you’ll need to crank your grill (or stovetop grill pan) to high, spray the grates with oil, and then simply cook the fish about 4 minutes per side for beautiful medium-rare steaks. Joe Knows Fish not only provides the perfect technique for preparing these Grilled Swordfish Steaks, he even provides the perfect side dishes, including the recipes. As always, simple and fresh is best. 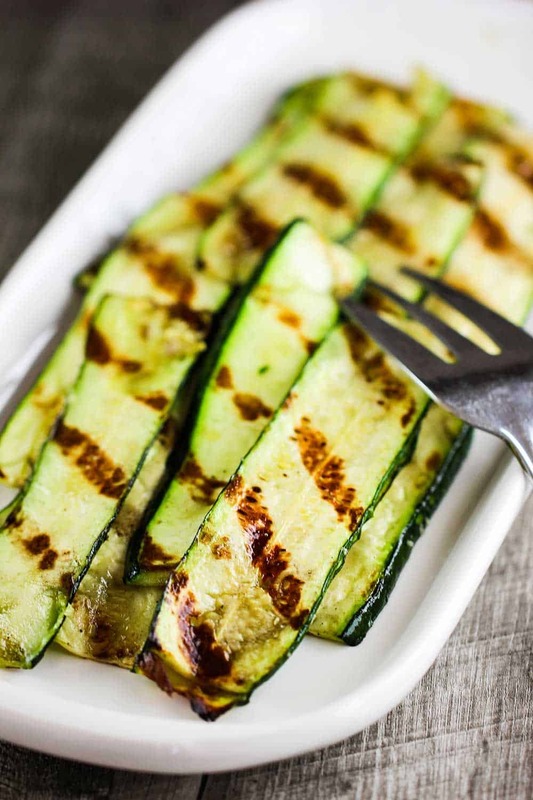 Since we’re grilling…how about some amazing super-fresh Grilled Zucchini? YES! When at the market, look for small delicate zucchini. Joe says the larger ones can be spongy and flavorless. To play it safe, we order our produce from Citarella along with the fish (If ordering online, you’ll need to call 212-874-0383 to add non-seafood ingredients to your order. The Citarella Customer Care Team is second to none). Joe suggests his Crispy Stovetop New Potatoes as another side dish to the Grilled Swordfish Steaks. And boy, oh boy, is he right. They crisp up beautifully in about 30 minutes, and they are so delicious and match perfectly with the fish and zucchini. We used our cast iron skillet to make these and they are crispy on the outside and tender and delicious on the inside. YES to delicious crispy new potatoes! This approach to his business and his passion for quality shines through every time we receive a glorious package at our doorstep with the beautiful Citarella emblem on the side. 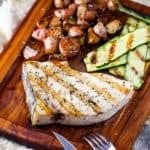 We love this Grilled Swordfish Steak recipe because Joe tells you exactly how to get the best results. Swordfish is not ‘fishy’ tasting at all, and is just so completely satisfying. Place your order and make this incredible meal for you and your loved ones. This is a meal that you’ll want to prepare over and over again. It’s serioulsy that good. This one is worth another look. 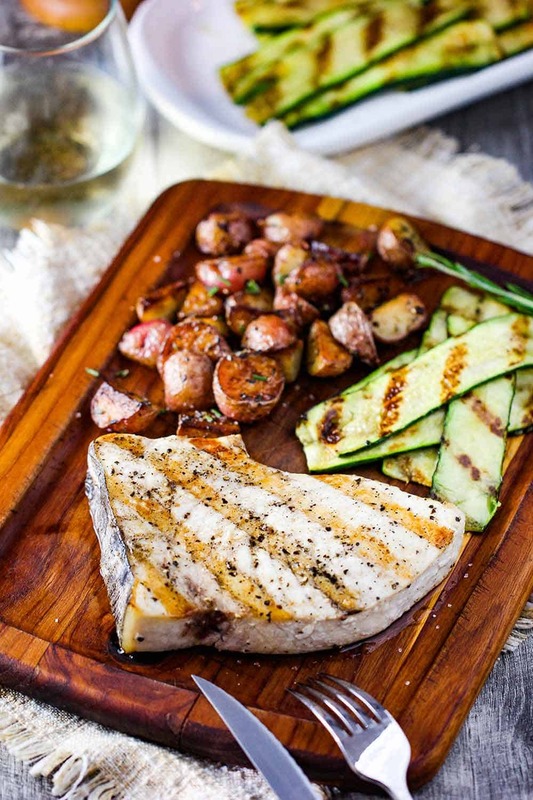 Grilled Swordfish Steaks with sides of Crispy Stovetop New Potatoes and Grilled Zucchini. 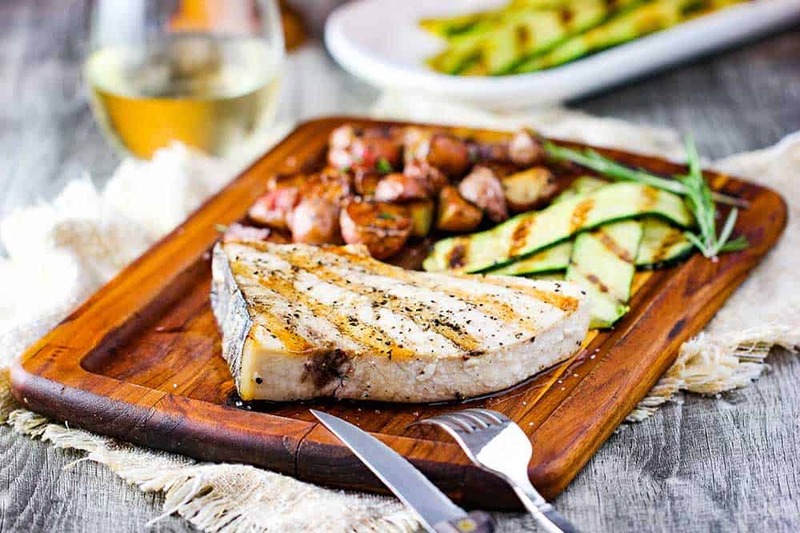 In the meantime…sink your teeth into this incredible recipe for Grilled Swordfish Steaks! 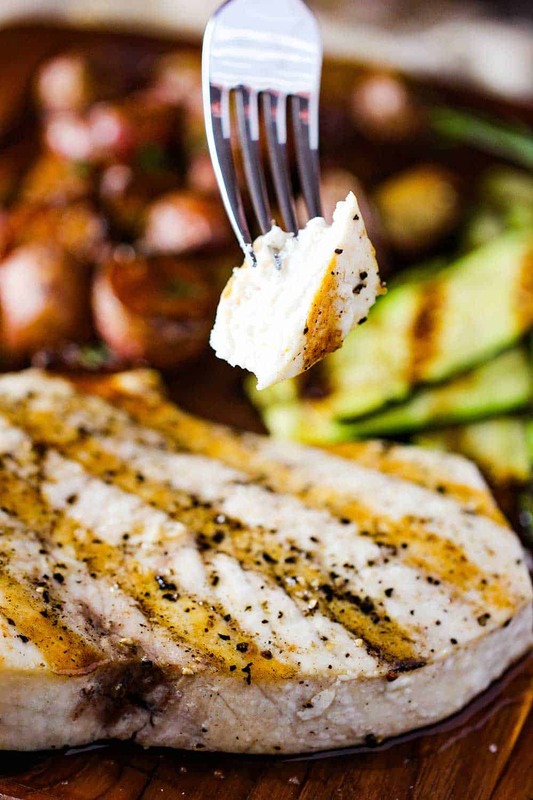 Grilled Swordfish Steaks are incredibly flavorful and down-right delicious. They are similar cutting into a nice juicy beef steak! Simple in preparation, yet amazing in taste and texture. This recipe comes from the world-renowned fish monger and chef, Joe Gurrera, owner of the iconic Citarella Gourmet Market. 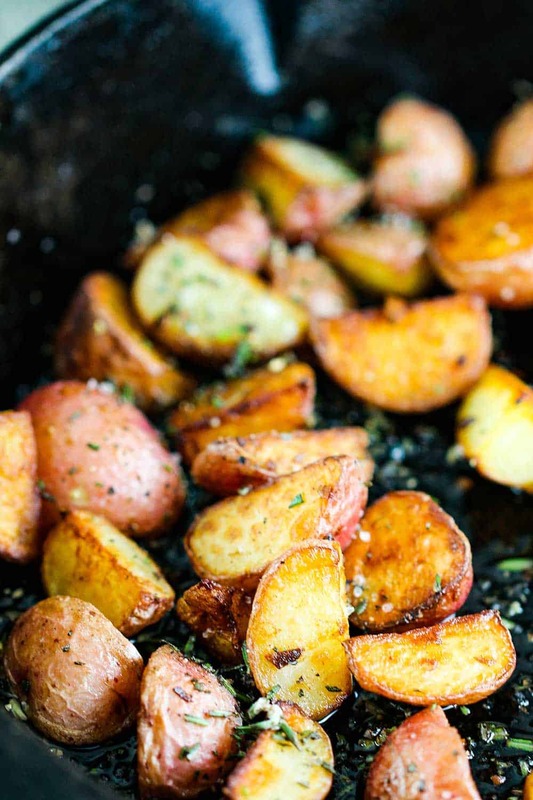 He's even included the perfect side dish recipes: Grilled Zucchini and Crispy Stovetop New Potatoes. Rinse the fish and pat it dry with paper towels. Put the steaks in a large bowl and drizzle with the olive oil. Using your hands, gently rub the oil over he steaks until fully coated. Season with salt and pepper. Place the fish on the pre-heated grill and cook to the desired doneness, 2 1/2 to 3 minutes per side for rare (4 minutes per side for medium-rare and 5 minutes per side for well-done). Be patient and resist the temptation to flip sooner, or it will stick. Remove the fish from the grill and serve. In a large sauté pan over low, heat the olive oil and garlic. Cook, stirring occasionally, until the garlic starts to turn golden, about 1 to 2 minutes. 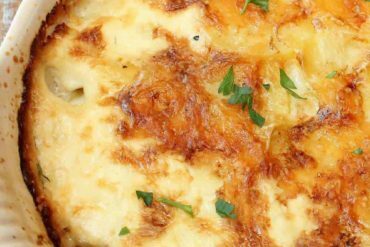 Add the potatoes to the pan and cook until the cut side is crisp and brown and the inside is fork-tender, about 35 minutes, stirring every 5 to 8 minutes. Season with salt and pepper, to taste. Sprinkle the rosemary and toss to combine. Serve immediately. Pre-heat your stovetop grill pan or outdoor grill to medium-high heat. Put the zucchini in a large bowl and drizzle with the olive oil. Add a few pinches of salt and pepper and toss to coat. Cook the zucchini on the pre-heated grill for 2 minutes per side, or until the strips get grill marks and just become tender. Serve immediately or at room temperature.